Abstract: [Objective] The countermeasures for soil salinization control based on the comprehensive utilization of regional resources and management of soil and water resources were discussed in order to develop a new strategy for the management of soil and water resources and provide support for agricultural sustainable development, ecological protection and environmental management in semiarid and arid areas. [Methods] We reviewed the details on the measurements of salt-affected soils worldwide, and summed up the research experiences based on the field investigation in arid areas suffering from soil salinization in Northwest China. A new strategy was proposed by integrated analyzing the main issues existing in saline-alkali treatments. [Results] The main approach of the new developed strategy has two steps: to separate the salts from soil firstly, and then to desalt the salted drainage for irrigation, that would improve the efficiency of soil salinization control measures. It can be abbreviated as "double desalinization approach (DDA)" of soil salinization control measures. 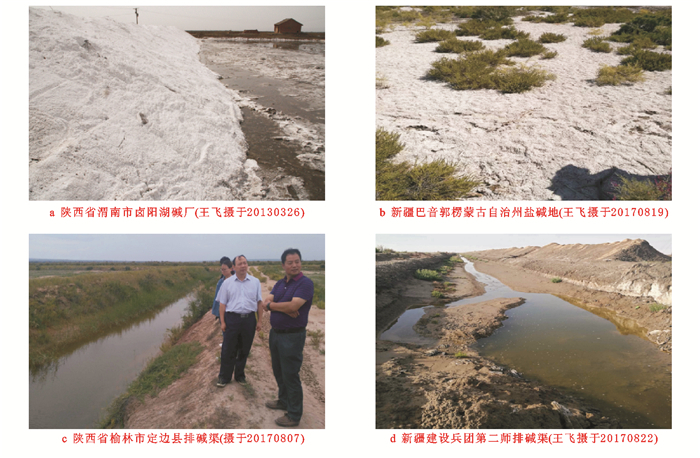 The strategy of DDA of soil salinization control measures can be summarized as "reducing regional water loss, leaching of soil salts with less water, intensive desalination of salted soil, and efficient utilization of soil and water resources". Among them, reducing regional water loss is the premise of water resource management and ecological protection in arid area. Leaching of soil salts with less water is the basis to reduce the cost of salt leaching time and water resources. Intensive desalination of salted soil is the key technology to separate the salts and water for reusing. And efficient utilization of water and soil resources is the core economic principle of agricultural development in semiarid and arid areas. [Conclusion] The new strategy of DDA of soil salinization control measures can increase the efficiency of desalination of soil and water by intensive management of soil and water resources in the arid areas. The risks relating to regional natural resources, environment and ecology of this strategy are relatively lower than the traditional methods, and the benefits of management could last for a longer time. The strategy can maintain and improve the regional economic development and the ecological services of ecosystem. Abrol I, Yadav J, Massoud F. Salt-affected soils and their management[R]. Rome: Food and Agriculture Organization of the United Nations, 1988. Mashali A. Integrated soil management for sustainable use of salt-affected soils and network activities[C]//Proceedings of the international workshop on integrated soil management for sustainable use of salt-affected soils, Manila, Philippines, 1995. 张建锋, 张旭东, 周金星, 等. 世界盐碱地资源及其改良利用的基本措施[J]. 水土保持研究, 2005, 12(6): 28-30. 郧文聚, 杨劲松, 鞠正山. 以科技创新对接国家战略:聚焦"一带一路"沿线盐碱地治理[J]. 国土资源, 2015(9): 44-46. 王遵亲. 中国盐渍土[M]. 北京: 科学出版社, 1993. Herbert E R, Boon P, Burgin A J, et al. A global perspective on wetland salinization: Ecological consequences of a growing threat to freshwater wetlands[J]. Ecosphere, 2016, 6(10): 1-43. 王佳丽, 黄贤金, 钟太洋, 等. 盐碱地可持续利用研究综述[J]. 地理学报, 2011, 66(5): 673-684. 张宸. 聚谷氨酸生物的合成及其在修复和改良土壤中的应用[J]. 水土保持通报, 2018, 38(2): 323-328. 韩剑宏, 李艳伟, 姚卫华, 等. 玉米秸秆和污泥共热解制备的生物质炭及其对盐碱土壤理化性质的影响[J]. 水土保持通报, 2017, 37(4): 92-98, 105. 谢晓蓉, 刘金荣, 王引权, 等. 功能性盐土改良肥对河西走廊草甸盐土的改土效应[J]. 水土保持通报, 2017, 37(3): 67-74. 庞喆, 陈田庆, 郝起礼. 陕北盐碱地综合治理新模式探讨:以陕西省定边县堆子梁镇盐碱地治理项目为例[J]. 农业与技术, 2017, 37(23): 18-20. 苟树生, 张雄文, 王彦国, 等. 近50年来塔里木河干流水量、水质及耗水分析[J]. 干旱区研究, 2010, 27(6): 861-870. 张金龙, 张清, 王振宇, 等. 排水暗管间距对滨海盐土淋洗脱盐效果的影响[J]. 农业工程学报, 2012, 28(9): 85-89. 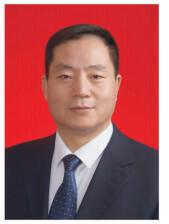 杨鹏年, 董新光. 干旱区竖井灌排下盐分运移对地下水质的影响:以新疆哈密盆地为例[J]. 水土保持通报, 2008, 28(5): 118-121.